I finally sold off my broken car on Craigslist. I wasn’t expecting more than $500 for it, but, just to taste the water I put an ad in Miami Craigslist, offering the car for $1,200. I described every problem the car had, including blown head gasket, needs for new radiator and battery. I also mentioned about two of the power windows which don’t work, a service light which needs attention along with a list of scratches and dents. I thought people would get scared off seeing the listing, so, I mentioned that this car is only useful for the mechanics, who can fix and resell for profit. Those words spread like wild-fire. Within next few hours I received nearly 50 calls and text messages. Finally the first guy who came-by to check bought it. It helped in negotiation that while he was inspecting the car, I received two consecutive calls from other interested buyers. The car was sold for $1,200 cash then and there. Why I think this is a good deal? 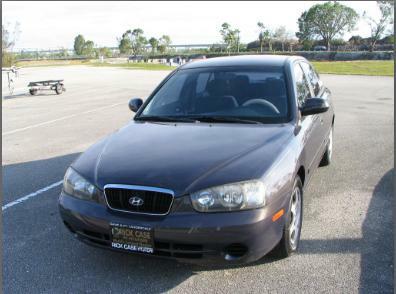 The KBB market value for fair conditioned Hyundai 2002 Hyundai Elantra was $2,600. The head gasket replacement , along with radiator and battery was lowest quoted at $1,700. So, financially I didn’t make any loss selling it for $1,200. I made a loss already when the car broke down couple of months back. I didn’t spend any time trying to sell the car either, other than talking and texting over phone. We got another used car as a replacement, more about it later. Now, I encourage you to read a few posts that I found value in, I promise you’ll not be disappointed. 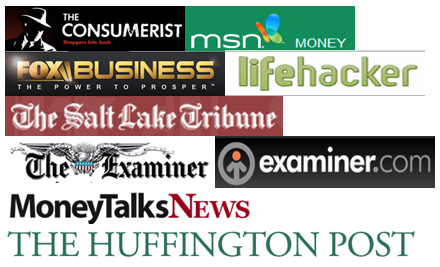 Financial rules that work and don’t work – is a list of very important aspects of personal finance and what you should do, according to the blogger Free Money Finance. How much life insurance you need? Confused? You can read this article. I have subscribed to Zen Habit‘s feed, when I received How to Live Well in my mail box, the next 5 mins of my life was spent in serenity and tranquility. I have to practice the learning every day. The Simple Dollar posted an article which is so true about credit cards, they are helpful often to your finances, if you know how to use them. Use credit cards that actually benefit you being employed with a credit card issuer, I support the cause whole heartedly. Have you ever felt that the entire world is against you? I feel it all the time. Everything seem to go against me and my wishes. Dumb Little Man writes about staying motivated in this situation. What’s your favorite worst website? I am sure you have come across a few that raised produced instant hatred. This is one such site I visited recently. Can someone’s taste be so bad? 4 cheap food to increase your brain power – Is a money talks news article, which talks about berries, turmeric, avocado and cold water fish as the 4 such cheap food item. I would like to add ‘Neem‘ to the list. Venture in to your local Indian stores to buy a bunch of Neem leaves. Call your Mom – is an Infographic from Frugal Dad as a tribute to Moms of the world. One statistics he mentioned “if your mom helped you in your homework for one hour per day during elementary, middle and high school stages, she helped you for 2160 hours in total. ” I remember my mother spending few more hours, not just one hour per day for our studies. I love you mom! What’s happening in your lives? I had a similar experience selling a used car. I had bought a 2002 Toyota Camry for $6k a few years back. I drove that sucker everywhere and sold it almost 2 years later for exactly $6k! Man when are you starting business? you’ll sure go places with that selling technique! I am glad you got more than double what you expected for your car. Yeah the lesson is try every possible market to sell your product, chance are high that somewhere demand would be more than everywhere else. Wow that’s great that you sold it for $1,200! Fascinating story about your car. I am totally surprised you got such a great offer. Did you like the hyundai? We’re looking at that brand for our next car. Do yourself a favor, don’t go for Hyundai. For reliability and slowest depreciation, I prefer Toyota or Honda. I am a big fan of buying and selling used cars on Craigslist. Way to go on getting full acting price on the Hyundai! all used cars are a lot more valuable than they were just a couple years ago due to the tsunami. If you want to sell a used car and buy a new one, now is the time to do it. this anomaly won’t last much longer. How exactly Tsunami affects the US used car prices? all Japanese car manufacturers have local manufacturing facility in US or Canada including Toyota and Honda.